David W H Walton is the editor of Antarctica (2013). 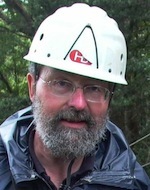 He began work in 1967 with the British Antarctic Survey (BAS) and is now an Emeritus Fellow at BAS, publishing papers and books on many aspects of Antarctica. Professor Walton represented the international Antarctic scientific community at Antarctic Treaty Meetings for 14 years and was awarded the first SCAR medal for International Scientific Coordination. He was also awarded a Polar Medal by the Queen. The author of more than 100 scientific papers, and more than 250 reviews, popular articles and reports, he has also written and edited several books and has been the editor in chief of the international journal Antarctic Science for the last 25 years.